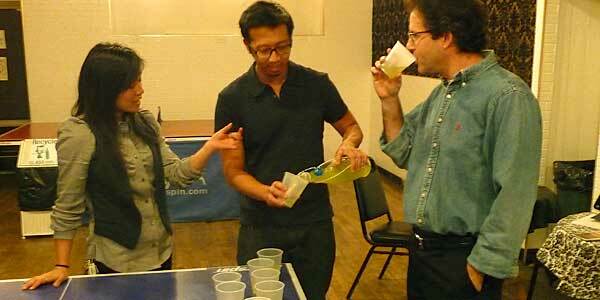 Ruxbin's Vicki Kim and Nate Chung serve Neal McKnight a sample of celery soda. Vicki Kim and Nate Chung of Ruxbin, at 851 N. Ashland, gave a presentation. Ruxbin has been a part of the East Village neighborhood for about a year and a half. The restaurant offer a seasonal menu and makes its own sodas. Ruxbin is BYOB, has 32 seats and does not take reservations; open 5:30-10 pm Tuesday through Saturday and 5:30-9 pm Sunday. Mark Duntemann with Natural Path Urban Forestry reported on the current tree census for the neighborhood. His team is looking at possible planting spaces and appropriate tree species. The census also found many ash trees that may need replacing soon. In 3 weeks data collection should be complete. Then, a plan is needed to push the city to maintain current trees and remove hazardous trees. In winter, Duntemann's team plans to record GPS coordinates for all trees in the neighborhood. As far as planting new trees, Duntemann was given unfortunate news by the Bureau of Forestry that there is essentially no money for planting new trees. The bureau suggested using the 311 system to request trees. Therefore, Duntemann agreed to look for possible funding sources to get new trees planted and made a suggestion to try Trees Forever as a start. On Augusta Boulevard, much of the street is not plantable according to city standards. Ronda Locke with the 1st Ward office stated that it is legal for businesses to place handbills on fences or on door knobs as long as they do not interfere with the locking of those doors and they have their business license number printed on the handbill. However, if a No Solicitation sign is posted, handbills are illegal in any case. Locke will follow up with Streets & Sanitation regarding enforcement of this ordinance if solicitation signs are posted. KK Goh reported that EVA currently has about $3,000 in the bank. 1. 1601 W. Division: Plans have been presented to erect a high-density building at that site. 2. Chicago Bowl: Neal McKnight spoke with managing partner Peter Shapiro and the project is not happening at that site due to cost issues. That site is currently in demolition. Tom Tomek stated that there was 3 robbery incidents in the west Ukrainian Village area at Paulina and Division, and 6 incidents of senior citizens being victims of armed robbery. A shooting occurred at La Pasadita restaurant. Tomek reported that funds are being raised for a new playground. 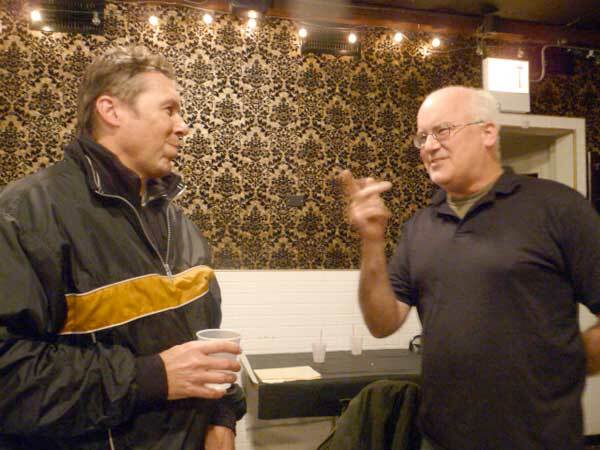 Scott Rappe reported that the PTO is having a fundraiser at the St. Paul Cultural Center. Also, the Options for Knowledge gifted program is now in open enrollment. Locke reported that on Oct. 29 the Halloween march brought about 700 people and on the first Saturday in December 500 presents will be given out for Christmas. 1. Winchester traffic: Roots Handmade Pizza neighbors report that delivery trucks are using both the alley and either side of the street as a staging area. Locke is sending the public-way inspector. 2. Ward map: On Nov. 28 the new maps with be revealed. 3. On Nov. 16 St. Nicholas Church is having a safety awareness program for senior citizens.